Potential impacts of, and adaptation strategies to extreme sea levels and mean sea level change need to be assessed regionally using consistent methodologies across Europe and between research groups and disciplines. A specific focus is placed on extreme events. Although mean sea level change can be harmful by itself it is the extreme events that have the largest potential for damage, today and also in the future. Socio-economic impacts of sea level rise, extremes and adaptation measures on human settlements and human activities need to be assessed and mapped out for our coastal regions. Adaptation governance and risk management is needed for society in the face of the potential impacts. The efficiency of these measures could be increased if a common methodology was shared. Changes in extreme sea levels need to be assessed and projected on regional to local scales. This requires the promotion and development of consistent methodologies across Europe and between research groups and disciplines. Storm surges and flood risks need to be better known along our coasts, and ideally the same analysis methodologies should be employed across Europe. Combining extreme sea level estimates with mean sea level projections in order to estimate future extreme levels is an emerging subject of research, and a probabilistic approach to this is recommended. Changes in storms, wave climate, tidal regimes, and their interaction with changing mean sea levels are subjects not widely incorporated in sea level change research efforts today, but of importance for potential future impacts. Modelling and projections of regional mean sea level is necessary in order to predict future sea level to help guide mitigation strategies. They need to be improved in order to provide useful local information for assessments of future impacts and adaptation. The development of regional modelling is one of the most important tasks today. A careful analysis of the interaction of the different components affecting the sea level change has to be conducted on semi-enclosed regional seas, as for example the Mediterranean Sea and Baltic Sea. The largest and the most uncertain contributions to relative regional sea level change need to be in the focus of research. Ocean models should resolve the regional physics governing continental shelf and coastal sea level change on a local scale. Uncertainties need to be reduced and confidence in projections improved. Upper tail risks of regional sea level rise are particularly important for adaptation of key infrastructure, since they represent low probability, high impact events. Decadal prediction systems will improve our knowledge of the system and the way we model it. Reduction of emission scenario uncertainty is a scientific topic of socioeconomics that feeds back to the natural science research on sea level projections. Observations of sea level and relevant processes are important in order to improve the modelling of future regional sea level change. In some places, vertical land motion may offset sea level rise or may add to it, caused by tectonic processes, large-scale crustal adjustment from previous ice ages, and subsidence. Sea level reconstructions from prehistoric periods from and between previous ice ages can provide constraints on rates and maximum levels of sea level change. A combined use of different types of Earth system data is necessary in order to properly understand processes governing variability and long-term change. Assimilation of high quality observational data into operational models and development of decadal prediction systems is essential for improved understanding of the Earth system, and hence being able to project future changes. Paleo sea level records help placing modern changes in context and can be used to constrain estimates of future sea level change. Paleo records aid estimations of present and future vertical land motion, which is essential for regional sea level assessments. Develop a proposal for a dedicated COST Action on the dynamics and impacts of hydrometeorological extreme events under future climate change. In addition, ideas on related research priorities were collected to be further specified and elaborated to be included in the upcoming “White Paper” of ECRA’s Collaborative Program “Changes in the Hydrological Cycle (CHC)”. 26 scientists (from 19 research institutions in 13 countries) participated in this interdisciplinary workshop, covering the fields of climate science and (eco)hydrology, but also many colleagues with a social sciences background or extensive knowledge in socio-economics, adding particular momentum to the inspiring discussions. The Workshop started with a short introduction about ECRA and the ECRA CPs background as well as an introduction to the fundamentals of the COST Action programme. This was followed by three scientific impulse presentations, successfully stimulating and framing for the following discussions. Jost von Hardenberg (CNR-ISAC, IT) presented model uncertainty aspects in his talk „From high-resolution global climate modelling to precipitation downscaling“, and emphasized the need for intercomparison projects to better understand model differences. Karsten Schulz (BOKU Vienna, AUT) talked about „Challenges in assessing the hydrology of extreme events under climate change conditions“, demonstrating the limits of current practices to trend estimation in extreme event hydrology. Marco Hoogvliet (DELTARES, NE) talked about „Optimization of the climate adaptation process“ and emphasized the user perspective. Modelling for climate services: Enhancing current knowledge on high impact events and closing key gaps in the underlying science is required to fully realize the European Agenda for climate services. Establishing strong links to potential users of high impact events research are essential. Ensuring the usability of the most up-to-date scientific results will increase the quality and effectiveness of decision-making on e.g. adaptation measures. Characterization of vulnerabilities: Better information produced by improved predictions requires better blending with information regarding exposure and vulnerabilities. This will help to create a resilient response to anticipated risks, taking into account the dynamics of socio-economic activities. Not every extreme event might become a high impact event. Better quantification of impacts and vulnerabilities associated with extreme climate events can be achieved by linking large and regional scale simulations to physical and economic impact models, recognizing the inherent uncertainties in long-term projections. 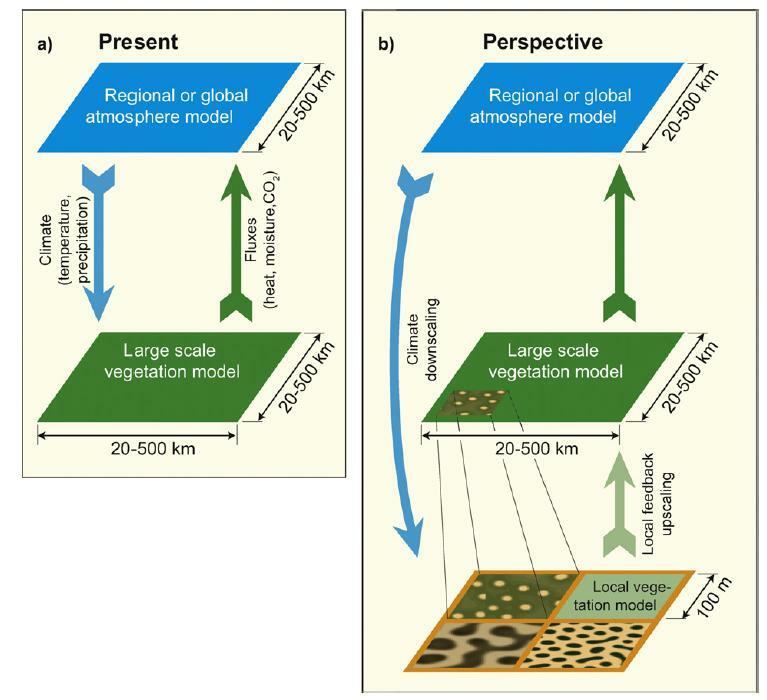 Propagation of large scale climate change simulations to the regional scale using statistical downscaling and high resolution regional modelling is a key science topic. The use of statistical methods to improve the value of modelling climate extremes: Statistical techniques such as empirical-statistical downscaling and extreme value statistics offer the possibility to enhance the results of climate models with respect to extreme events and provide a robust probabilistic framing of climate hazards based on e.g. ensembles of climate projections. Evaluation and improvement of numerical simulations of high impact events, including assessment of the extent to which increases in resolution improve the fidelity of numerical simulations. This is crucial, for developing strategies to improve the reliability of projections for changes in high impact events. Improving regional and local modelling of extreme events: Global high-resolution climate models and regional scale climate models require further developments to e.g. reduce the bias in simulations of the past and thus facilitate more reliable projections of the future. Smaller biases will also facilitate better coupling to impact models. Climate-related hazards with potential high impacts on human and/or natural systems include extremes such as storms, storm surges, hail, heavy rains and drought. Such events are often of low probability and subsequently existing knowledge drawn from past instances of similar extremes may be scarce or lacking. Therefore, a better understanding of many of the fundamental processes driving the occurrence of high impact events (including the dynamic links with human activities) is critically needed. Only an improved understanding of fundamental processes (including better models) will allow more reliable predictions and projections. Better estimates of historical occurrence frequencies. Two time horizons can be considered here: (i) The near past that is described by observations and reanalysis data (state analysis of the atmosphere and ocean) for the last 50 to 100 years allowing in-depth assessments of selected events (e.g. strong storms), and (ii) The faraway past that is described by carefully collected proxy data which in certain areas can provide a very long record of a particular high impact event (e.g. lake overturning). Studying mechanisms: (i) Scale interactions in the atmosphere including dynamics/energetics and composition, for example in the context of mid-latitude blockings or tropical cyclones; (ii) Critical processes involved in high impact events, for example the factors that govern the structure and characteristics of extratropical and tropical cyclones, and how these factors are influenced by greenhouse gas and other climate forcings, including stratospheric composition. How do the statistics of severe weather affect composition and vice versa? Heat waves and future air quality, severe (tropical) storms/convective events (tropical UT/LS composition) and the feedback of changing composition on climate. Often called the “water towers” of our planet, owing to their role in providing water to the surrounding lowland areas, mountain regions are heavily impacted by climate change. Among the changes in the hydrological cycle components are glacier retreat, decrease of snowpack duration and thickness, changes in precipitation regimes, changes in aquifers, slope stability. Measuring and modelling the hydrological cycle in mountain areas is challenging. Measurements are difficult owing to the remoteness and harsh environmental conditions of most mountain regions and to the fact that a large fraction of precipitation falls as snow. Modelling of precipitation is also quite demanding, owing to the steep orography and complex atmospheric circulations which put severe constraints on regional and mesoscale numerical models. This research task will give attention to all aspects of the hydrological cycle in the mountains, from precipitation to runoff, from snow cover changes to glacier and permafrost dynamics, to elevation-dependent warming. It will focus on specific mountain areas of the world such as the Alpine and Apennine regions in Europe and the Himalayas-Tibetan Plateau area, currently subject to intense investigation by several European research groups. The methods used in this task will involve both data analysis and modelling. The data analysis activities will be conducted in collaboration with national and international programmes such as GEO/GEOSS and in particular its GEO-GNOME Initiative (The Global Network for observation and information in the mountain environments). The Mediterranean basin is considered a “hot spot” of climate change. It displays an ongoing tendency towards drier conditions and this trend is expected to continue and possibly worsen in the coming decades. At the same time, individual events of extreme rainfall continue to cause human losses and severe economic damage. The analysis of current data on the hydrological cycle in the Mediterranean basin. This includes participation in ongoing programmes such as Hymex (www.hymex.org). The use and development of regional climate models specifically tuned for the Mediterranean area. Obtaining reliable information on water availability and distribution in the next decades. The methods used are coupled systems that have recently been developed for the Mediterranean region: the atmospheric model is forced at the surface by a high resolution interactive ocean model whose sea surface temperature (SST) in turn responds to small scale circulation patterns produced by the regional atmospheric model. A key improvement of this modelling tool is its ability to produce more reliable local SST and wind speed estimates which result in a more realistic description of water, heat and momentum fluxes and feedbacks between the atmosphere and the interactive ocean model. Such a description might be critical when performing future climate projections of the hydrological cycle, especially when strong air-sea interactions are expected. Several modelling groups have taken part in the MedCORDEX (www.medcordex.eu) international effort in order to better simulate the Mediterranean hydrological cycle, to improve the modelling tools and to produce new climate scenarios. Attention will also be paid to the reconstruction of the Mediterranean hydrological cycle in the last centuries through the analysis of paleo-data and modelling efforts. Hydrological model schemes must be improved to meet the specific requirements of semi-arid climates, accounting for the related seasonal soil water dynamics and the complex surface-subsurface interactions in such regions. This Collaborative Programme places a focus on specific climate hot-spots, the Mediterranean region and mountain areas that are and are expected to be particularly vulnerable to climate variability and changes and addresses the ecological and socioeconomic challenges that are related thereto. The Arctic climate is changing at a rate, which takes many people – including climate scientists – by surprise. The ongoing and anticipated changes provide vast economic opportunities; but at the same time they pose significant threats to the environment. ECRA aims to advance Arctic climate research for the benefit of society by raising awareness of key scientific challenges, carrying out coordinated research activities using existing resources, and writing joint proposals to secure external funding for coordinated, cutting edge European polar research and education projects. 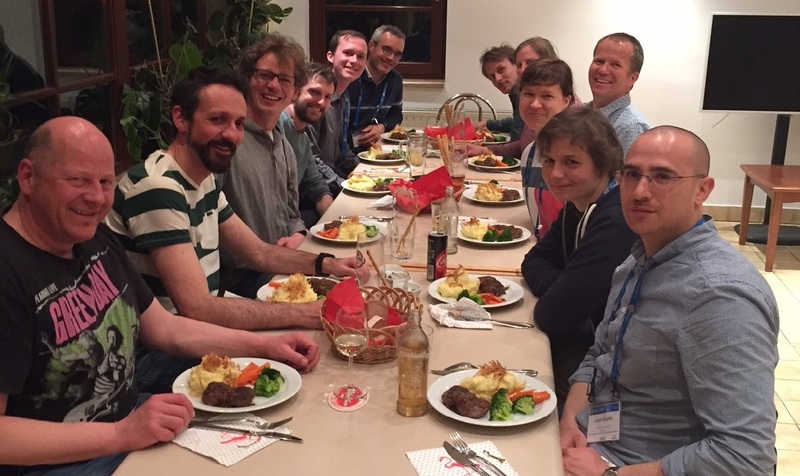 Arctic ECRA is a network of climate research institutions from different European countries and provides a breadth of expertise including theory, observations, modelling, operational forecasting and logistics. Why is Arctic sea ice disappearing so rapidly? What are the local and global impacts of Arctic climate change? How to advance environmental prediction capabilities for the Arctic and beyond? Arctic ECRA has organised three Workshops as well as one Policy Briefing at the European Parliament so far. For further information on the Workshops, please follow this link. Arctic ECRA published its Strategy and Work Plan in 2014 that outlines the key research topics to be addressed under this Collaborative Programme as well as strategies to achieve those goals and implementation mechanisms. It is available for download at this link. A Factsheet presenting key Arctic issues as well as recommendations for research priorities in H2020 and beyond was prepared for ECRA’s General Assembly 2017. It is available for download at this link. Arctic ECRA is currently seeking a new coordinator, and current activities are limited. Much of the coordination that Arctic ECRA used to do is currently taking place within EU-PolarNet (www.eu-polarnet.eu/). If you would like to participate in coordinating Arctic ECRA please contact the ECRA secretariat. There is an urgent need to increase observations in the Arctic and a demand for open exchange of data in order to improve modelled predictions of future changes. In order to provide a sound basis to stakeholders and politicians for decision making on time scales from days to centuries, it is important to enhance our existing prediction systems. Liaise with the user community to provide relevant forecast products to stakeholders. The Arctic impacts the rest of the globe in a number of ways: The two most important ones are probably the permafrost thawing, which releases potentially large methane fluxes and thereby increases global warming, and Greenland ice sheet melting, which is now five times higher than in the 1990s and contributes significantly to sea level rise. Ongoing change may additionally open up new economic opportunities for exploitation of fisheries, transportation, rare minerals, oil and gas as well as tourism, all with an expected impact on biodiversity. Many organisms in the Arctic Ocean are highly adapted to an older and thicker sea ice regime or temperatures close to freezing, leaving them and the Arctic ecosystem vulnerable to the ongoing warming. They are presently being pushed northward on the shelves and down the slopes where only deep-water species are able to survive. At the same time, species from the South are spreading into previously ice-covered areas and might compete with Arctic species for food and space. There is growing concern about the rapid climatic changes occurring in the Arctic and the impact of these changes for future development of the European and global climate have to be understood. For planning and managing purposes it is crucial to obtain a comprehensive quantitative understanding of the past, present and future impacts of Arctic climate change. Provides a comprehensive understanding of the local impacts of global significance of Arctic climate change. Aspects to be considered include: Sea ice, snow cover, and Greenland ice sheets; Permafrost and methane release; and Ecosystems. 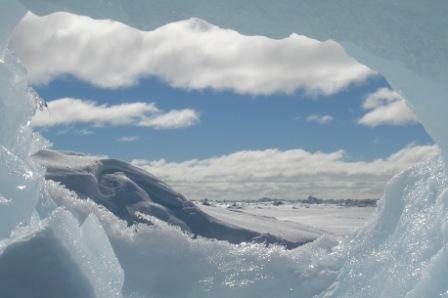 Provides a thorough understanding of the consequences of Arctic climate change on Europe and the world. Arctic sea ice has declined at a rapid rate since the 1990s. Summer sea ice extent has declined by about 50% and sea ice thickness by about 40%. Arctic sea ice has thus moved into a new, more vulnerable regime with predominance of first-year ice, longer periods of open water, and enhanced surface melt rates. But – the Arctic is also subject to large natural variability, especially in the Atlantic sector; and a number of non-linear feedbacks play an important role in both enhancing and dampening the ice loss. The mismatch between expected and observed rates of Arctic climate change is most clearly reflected by the fact that despite the progress, climate models are still unable to predict critical aspects of sea ice changes and their timing. This mismatch highlights the gap in our understanding of the underlying processes and feed- backs, as well as their realistic representation in climate models. Develop schemes that provide improved information of climate change uncertainty. There is growing awareness that climate change cannot solely be considered as a “mean state” modification. The impacts of climate change are closely tied to regional and local conditions. Changes in the characteristics, frequency, and severity of extreme weather events are amongst the most significant aspects of climate change. To understand and predict such events, which are typically responsible for the most disastrous climate impacts, is of paramount importance. Not all extremes lead to high impacts. However, high impact events are conditioned based on the exposure and vulnerability of particular regions or locations. Different types of extremes, e.g. droughts and extreme precipitation, might be associated with different regions. This Collaborative Programme examines how high impact events work, how they can be simulated accurately in numerical models and how we might be able to project future changes reliably, highlighting the important regional differences regarding their impacts. As such, high resolution climate and impact modelling as well as downscaling with different methodologies are among the key issues. 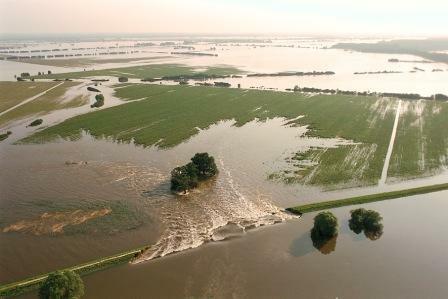 The CP further focuses on climate risk analysis, vulnerability and adaptation. We work based on a list of science topics. The science topics can be adjusted and allow flexible participation of ECRA and non-ECRA partners. The general strategy starts from fundamental physical concepts, continues via process understanding and goes towards the best possible numerical simulations of the global and regional changes of extreme events, including composition-climate interactions, feedback and impacts. 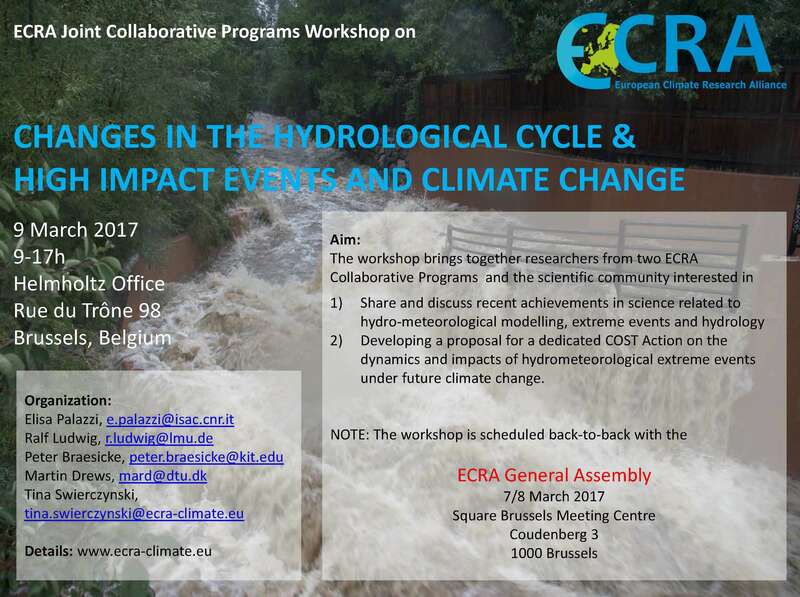 This CP has organised side events at the International Conference on Regional Climate (ICRC)-CORDEX and joint Workshops with the ECRA CP Changes in the Hydrological Cycle (see below). The CP HIE has organised three Workshops so far and two joint Workshops together with the CP Changes in the Hydrological Cycle. For further information on the Workshops, please follow this link. The CP HIE has a White Paper containing information on the CP’s general scope, activities and an implementation plan. The current White Paper from 2014 (working document) is available for download at this link. An Introduction Brochure to the Collaborative Programme has been published in March 2015 and is available for download here (pdf). 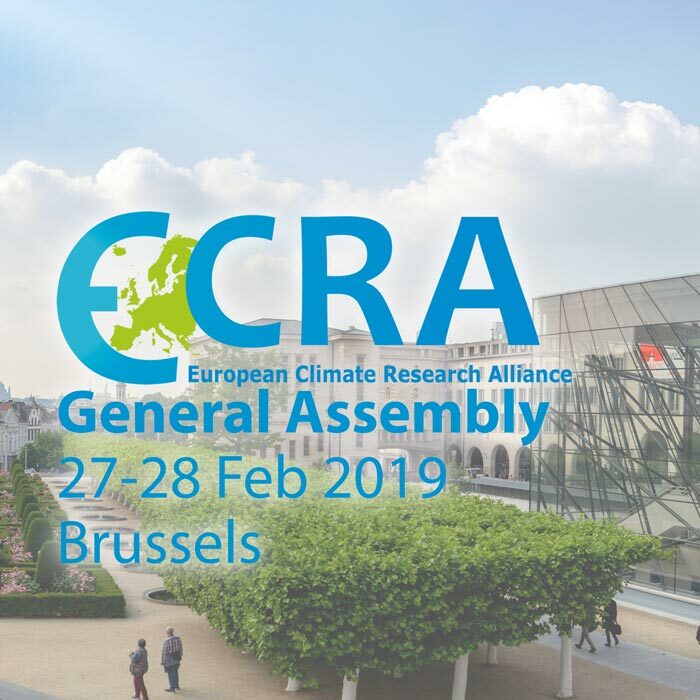 A Factsheet presenting key issues as well as recommendations for research priorities in H2020 and beyond was prepared for ECRA’s General Assembly 2017. It is available for download here. 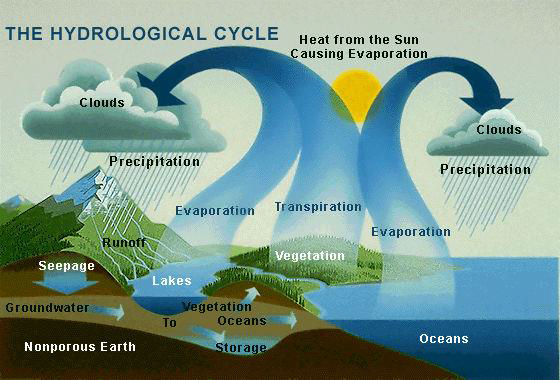 The global hydrological cycle includes many different components reacting in complex, dynamic and often non-linear ways to external forcings such as, but not limited to, climate change. While hydrological impacts of climate change – e.g. spatial and temporal alterations in water balance, streamflow and extreme events (floods, droughts) - typically occur at regional or local scales, they can trigger modifications that lead to larger-scale or even global changes in the water cycle. This Collaborative Programme aims at improving the scientific understanding of hydrological processes under modified climatic boundary conditions and at studying possible impacts of changing hydrological cycle components (precipitation, runoff, snow, etc) on the environment and the society. Meeting emerging societal challenges, in fact, is another aspect this CP intends to address. Global precipitation changes and runoff. Precipitation changes at the global level display a complex pattern, without a clear-cut average trend in the last century but with an apparent tendency to the intensification of the hydrological cycle in many areas of the world. Using observations and (global to hydrological) model simulations, this research task studies current and expected changes of precipitation at the global and European scale, with a specific focus on extreme episodes and their effects on mean runoff and intense flooding and drought events. Interaction between climate and hydrological/land surface processes. Modifications of the water cycle significantly affect land surface properties and ecosystem functioning and are at the same time driven by changes in vegetation and land surface changes. In order to better understand these complex interactions, this CP uses a hierarchy of models working at different spatial and temporal resolutions, compared to/validated against in-situ and EO data. Climate hot spot regions: Mediterranean region and Global Mountains. 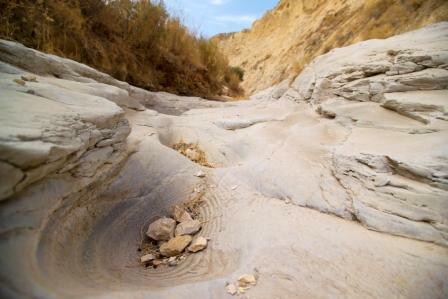 The Mediterranean basin and mountains areas are among the regions which are referred to as “climate change hot-spots”. In these regions climate change signals are amplified, as are their possible effects. Studying these areas would allow to develop appropriate adaptation and mitigation measures in the coming decades. Societal challenges related to impact of changes in the hydrological cycle. Among the expected impacts of observed and projected changes in the hydrological cycle are the lack of water for drinking, agriculture, industry and energy production, which imposes risks for civil security. Impact-oriented research aims at effectively responding to crucial societal challenges resulting from changes in different components the hydrological cycle and to support adaptation and risk mitigation strategies. See below for more information on the CP structure and tasks, and a factsheet summarizing the CP. A White paper delineating activities and presenting the grand challenges is in preparation and will be published in early 2019. For this, the research groups and institutions involved in ECRA collaborate with other European and international scientific initiatives, such as the Belmont Forum with its Collaborative Research Actions (CRAs), the Mountain Research Initiative (MRI) and collaborations with existing national and international projects, e.g. 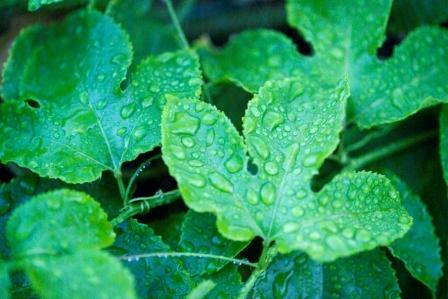 the EU H2020 projects ECOPOTENTIAL, CRESCENDO and PRIMAVERA. New proposals and joint actions will be developed during the research activities. 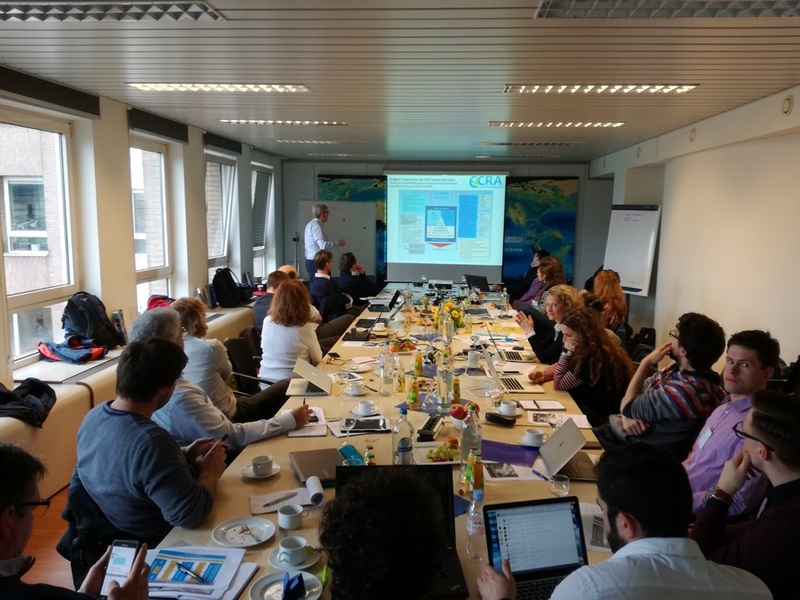 The CP Changes in the Hydrological Cycle has organised three Workshops, two joint Workshops together with the CP High Impact Events as well as one Policy Briefing at the European Parliament so far. For further information on the Workshops, please follow this link. The Hydrological Cycle Briefing Document (March 2015) includes a Special Focus on “The changing mountains of Europe – Water resources and ecosystems at risk”. It will be made available for download here soon.